ALLEGED STABBING SUSPECT: SAMANTHA G. MAYNARD WILLIAMS. A Lawrence County woman was jailed yesterday evening and is facing first-degree assault charge. 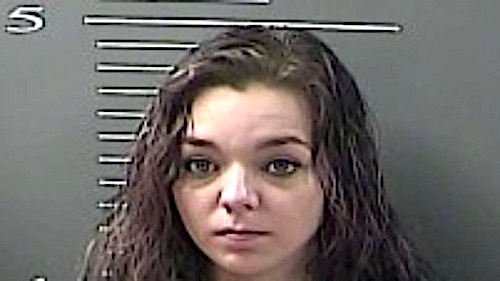 Details are limited at this time, but the Kentucky State Police arrested Samantha G. Maynard-Williams, 25, on Monday, January 14. The investigating officers said Williams stabbed another woman with a knife three times in December 2018. It is unclear how severely the victim was injured. The troopers did not report on the severity of the stabbing or how the woman’s condition was or even her identity. Maynard-Williams was also arrested on a PROBATION VIOLATION (FOR FELONY OFFENSE) warrant. Samantha Maynard-Williams was taken to and is lodged in the Big Sandy Regional Detention Center in Paintsville. INMATES EAT STEAK WHILE PRISON GUARDS GO WITHOUT PAY IN MARTIN CO.